10.50% IIFL NCD - Jan'19 – Should you Invest? 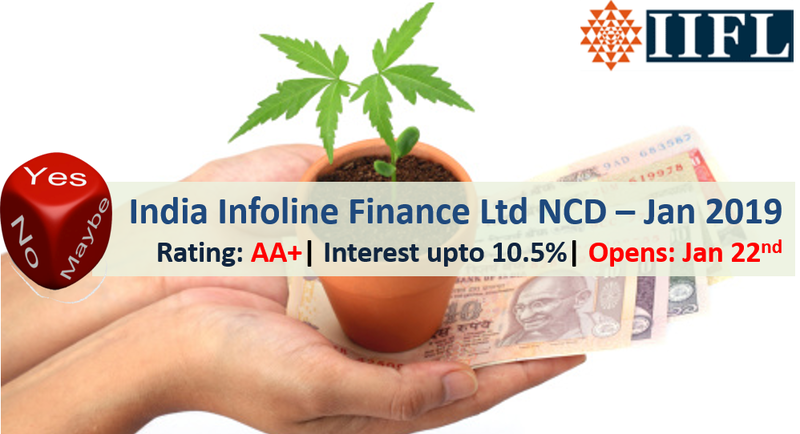 10.50% IIFL NCD – Jan’19 – Should you Invest? India Infoline Finance Limited (IIFL Finance) was incorporated in 2004 under the flagship of IIFL Holdings Limited and presently offers small-ticket loan products to retail borrowers, delivered through a pan India branch network of 1,755 branches and digital channels. It has come out with public issue of non-convertible debentures (NCD) offering up to 10.50% interest rate. There are 6 options of investment in IIFL NCD. 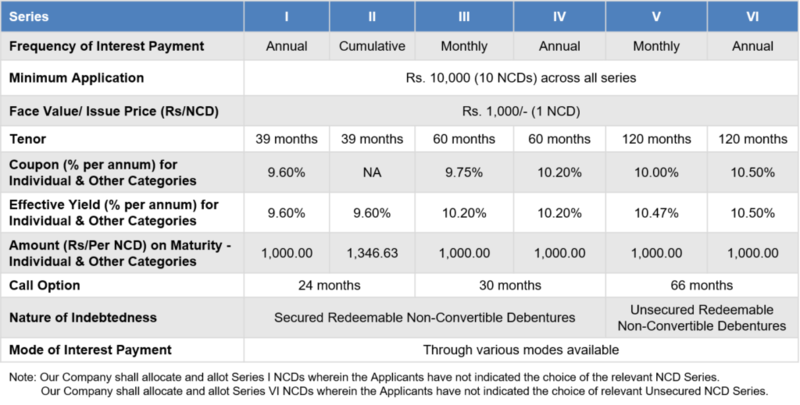 IIFL NCD – Who can Apply? Has Call Option – which means IIFL can redeem the bond before maturity as per the call option mentioned. 10.15% Manappuram Finance NCD – Jan’19 – Should you Invest?